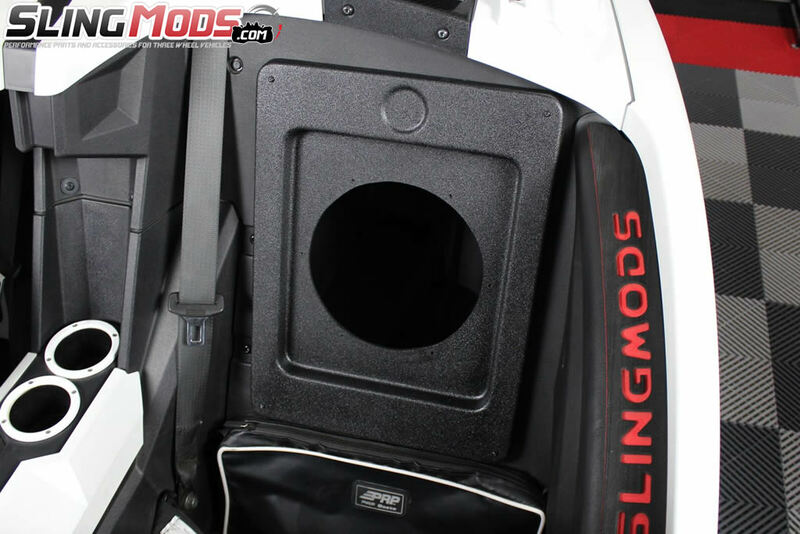 If you've been thinking about adding some bass to your Polaris Slingshot but don't wanna hassle with removing the rear plastic panel assembly, then this baffle plate may be for you! 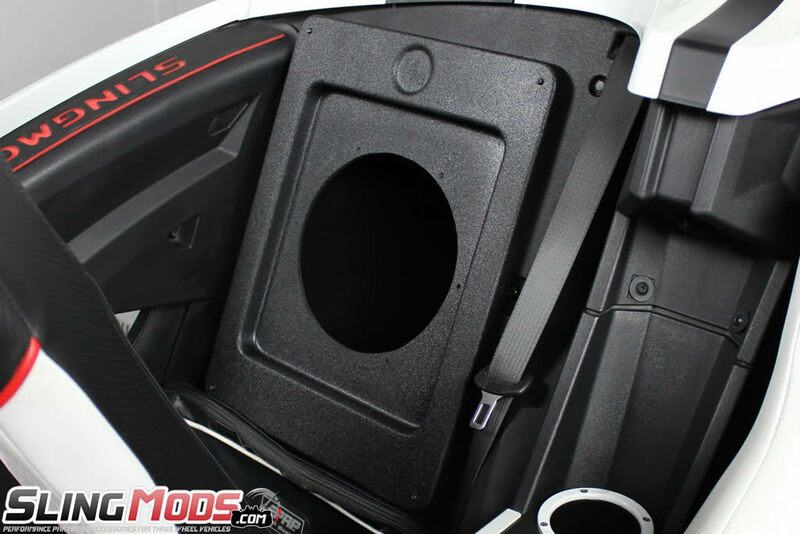 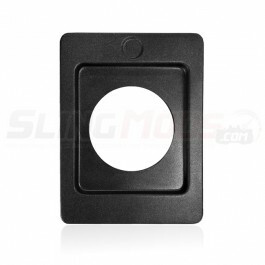 This fiberglass rear storage compartment baffle plate is manufactured here in the U.S.A. and is designed to replace your OE rear storage compartment door with this fiberglass baffle plate. 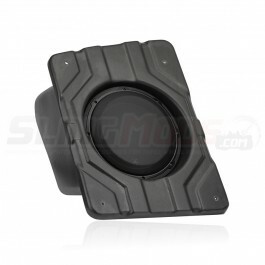 This baffle plate will work on both the driver & passenger side rear storage compartments and is designed specifically for use with an "infinite baffle" or "free-air" subwoofer. 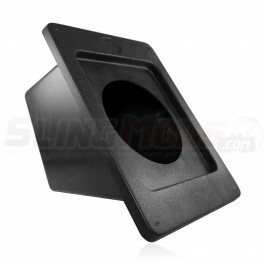 This baffle plate is a much simpler and cost effective way to add bass to your Slingshot without having to worry about panel removal. 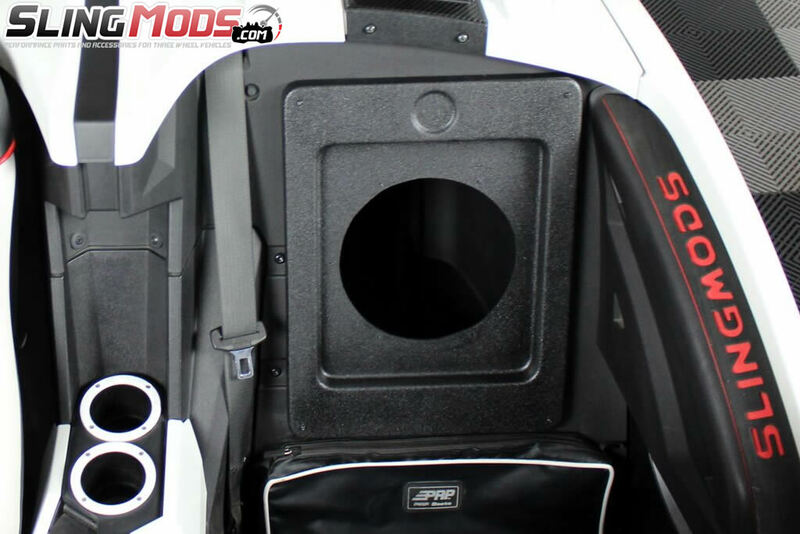 Simply remove your factory rear storage compartment door and screw the baffle plate into place. 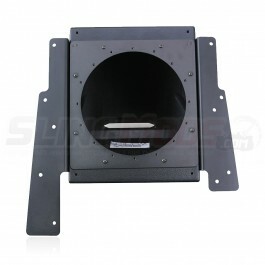 Next mount your "infinite baffle" subwoofer and run the subwoofer speaker wires to your external amplifier.